to support your health and in turn support your family. My passion is supporting women's wellness throughout life. through a variety of mediums...dance, yoga, bodywork therapies, and more. 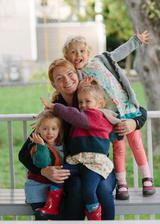 before pregnancy, during pregnancy, birth, postnatal, and parenthood. "We can always control how we care for a woman." Even though I wish I could support all the inquiries for bodywork and I'm grateful for all the wonderful clients, I temporarily am unable to see NEW clients for the months of April and May (unless already booked). I beileve in the integrity of the bodywork and have to honor the healthy boundaries of clients sessions... to be able to continue to support the clients that I am already working with on their prenatal and postpartum journeys. To manage this, my schedule had to go offline. As I'm already booked for the month of April and I typically book out a couple week in advance. Yet I have a waitlist option, as you never know when I calient could have their baby and an appointment opens up. I appreciate your understanding with this necessary decision. Thank you! Current Clients: Please book with Meredyth at your next appointment for these months or contact Meredyth via email. NEW Clients: Feel free to place yourself on my waitlist. More info can be found on that under the massage and bodywork page. 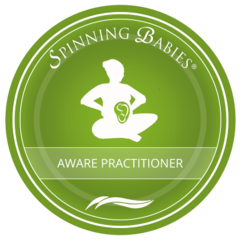 In 2018, Meredyth became a Spinning Babies Aware Practioner (SpBAP). Meredyth loves being a life long student, and this just addes another set of tools to her tools box to support you with bodywork during your pregnancy and/or birth.